I feel like this winter will go down in the record books as the longest, coldest season in history. Perhaps not because of the true weather stats, but between the posts of misery on Facebook, piles of soggy boots and socks, and drawn looks of anguish on parents' faces every day yet another snow day is announced, I think 2014 is a real competitor if only in spirit. The frigid temperatures have caused many, ourselves included, to embrace full-on hibernation mode, spending countless hours barricaded indoors near the fire, and eating and drinking to warm the body and soul. 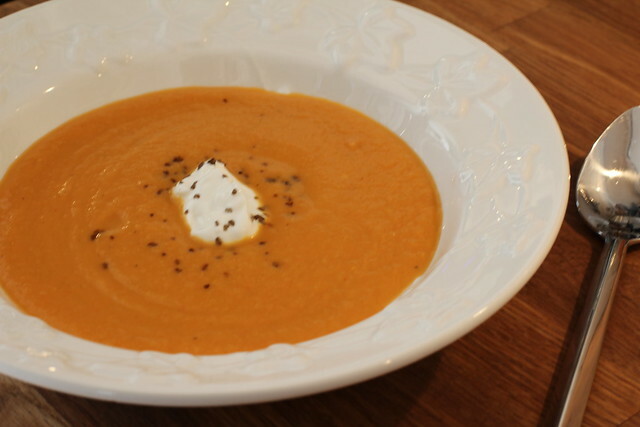 This winter I've embraced many of my classic winter recipes, but I've added a new warm and healthy soup to the mix. This creamy carrot soup is healthy, filling, easy to make, and inexpensive. It's quickly become a go-to meal in our house. Optional: Light sour cream and smoked salt to top. In a large soup pot over medium heat, warm oil. Add onion, stirring occasionally. 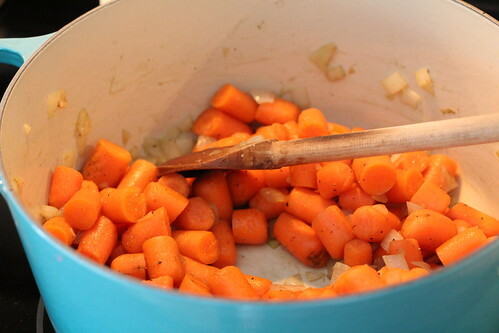 Cook until softened, 5-6 minutes. Season with salt and pepper (to taste) and dried thyme. 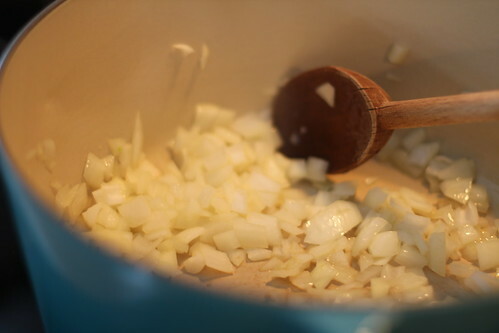 Add garlic, stirring frequently, until fragrant for approximately 1-2 minutes. Add vegetable stock. Increase heat to high and bring to a boil. 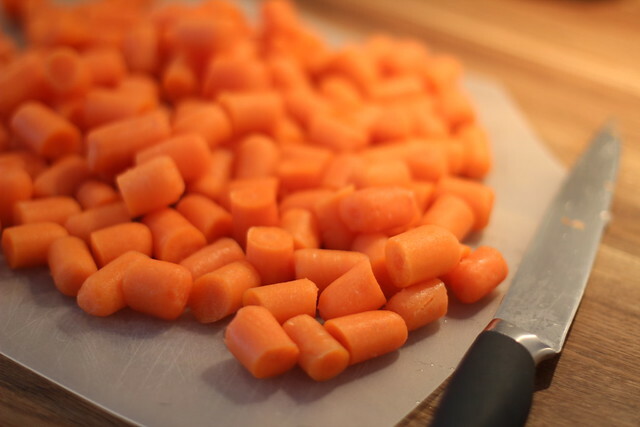 Once ingredients come to a boil, reduce heat to medium low. 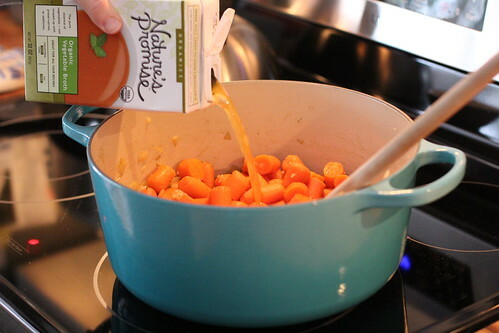 Cover, and simmer for 20 minutes or until carrots are tender. 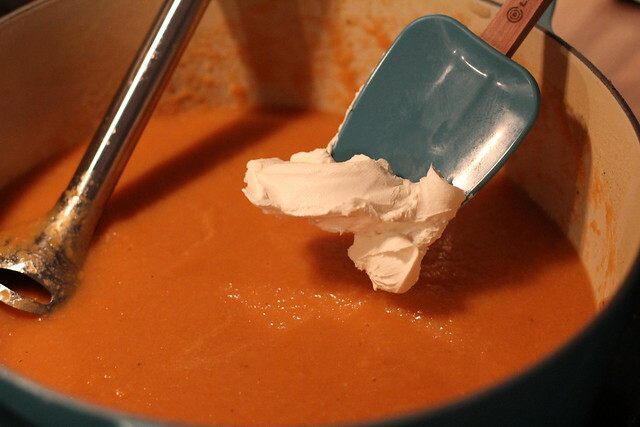 Add in cream cheese and blend again until soup is creamy and cream cheese is well incorporated. (Fat free half and half can be a good substitution for the cream cheese.) Taste, and adjust seasoning if needed. 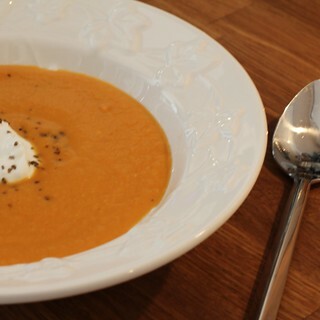 Ladle soup into bowls and top with a dollop of light sour cream and a sprinkle of smoked salt if desired. To make into a more hearty meal, pair with warm, crusty bread and cheese or serve as a side to a sandwich or grilled cheese. Who else is ready for Spring? 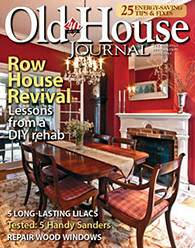 Do you have any traditions, recipes, or activities that help you brave the long, cold winter months? Darn Punxsutawney Phil and his shadow. Someone needs to have a sit down with that little bugger. Yum! This looks good! Do you know the WW points for this? That looks really good! 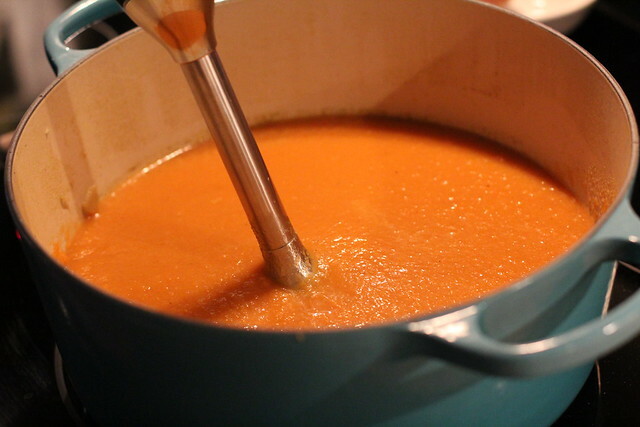 Soup is the best meal when it's cold and snowy outside. I'm ready for Spring, but I have enjoyed the snow. I want to make this tonight! Yum! Thanks for sharing.